Does Basement Waterproofing Paint Work? Waterproofing paints promise to be a quick fix for basement waterproofing problems. From store displays at big-box home improvement stores to TV commercials for miracle cure-alls like Flex Seal, hundreds of products promise to fix damp basements at a fraction of the cost of a proper basement drainage system. The claims of these products are often exaggerated at best, with little in the way of guarantees or warranty protection. With an estimate for a French drain or sump pump installation in hand, a $150 bucket of waterproofing paint might suddenly seem like a great idea. In reality, spreading these snake-oil products on a basement wall can be one of the most expensive mistakes a homeowner could ever make. Keep reading to see why you shouldn’t waste your time or money trying to waterproof a basement with these products. When a basement completely floods, it’s easy to see that better drainage is needed. But for less severe moisture issues, many homeowners incorrectly blame the walls themselves for the issue, when the problem is the soil behind them. Homeowners often turn to waterproof paint when their walls grow moist to the touch and they fear mold or mildew will soon follow. Water follows predictable patterns. It always tracks the path of least resistance, from higher ground to lower ground. Natural hydraulic force can either work for or against your home. If the water table is near or above the lowest level of your home, gravity will force it through the porous concrete walls. Under pressure from thousands of tons of soil, groundwater will force its way into the lowest point. Without drainage, this lowest point is likely your basement. Waterproof paint won’t stop the water from getting into your foundation-it will only hide how much moisture is really there. 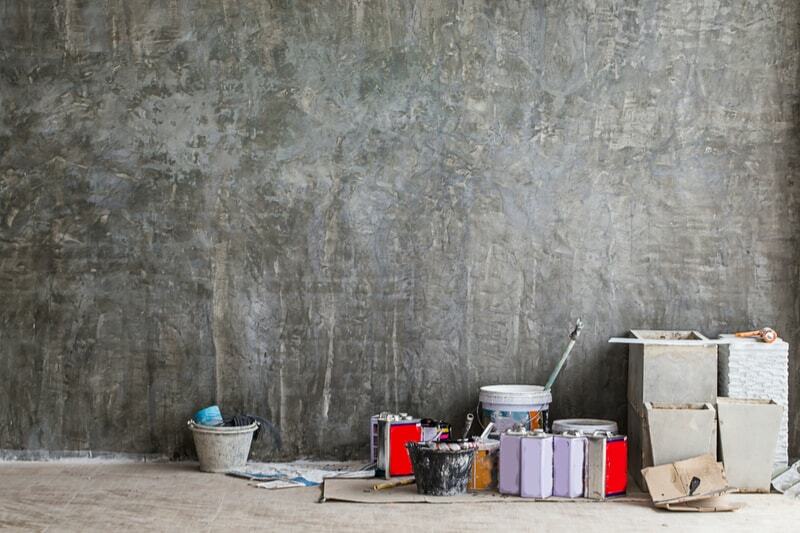 Once the paint fails–and it will fail—water damage like efflorescence and mold will spread on the surface of your walls. To really target the problem, water must be diverted somewhere else. French drains use gravity and piping to carry the water away from your home, while sump systems use an electric pump to drain excess water that collects in a miniature well away from your basement. Either system is a real, permanent solution to moisture management. Waterproofing paint is just a band-aid. This might sound counterintuitive, but there is a reason most contractors talk about “moisture management” and not “waterproofing”. There are definitely some places that should be waterproof, like boats and swimming pools. Walls aren’t one of those things. Brick or concrete may look solid, but it’s actually a porous material that absorbs moisture. Unless your home is in the desert, there should be some moisture naturally within the concrete, changing with the humidity of the air within and around your home. Painting over concrete from the inside of your home doesn’t stop water from getting into the material from the outside. It just keeps you from seeing that water is getting in. Eventually, water pressure will make the paint chip and peel, all while RAISING the moisture content of the wall. An ideal moisture management solution carries extra moisture away from your home, while giving normal water vapor an avenue to evaporate naturally without harming the home. Waterproofing paint upsets this balance, essentially turning your porous cement walls into a basement-sized fish tank. There are special epoxies and polyurethane coatings made for workshop floors that penetrate the surface and actually seal it. But even these won’t waterproof a basement. If waterproofing paint is so bad at keeping a basement dry, then why do people even sell it? Well, it DOES do what it promises, for a short time. If your walls are dripping water after a rainstorm, a coat of waterproof paint will hide the problem for a year or two until it starts to fail. 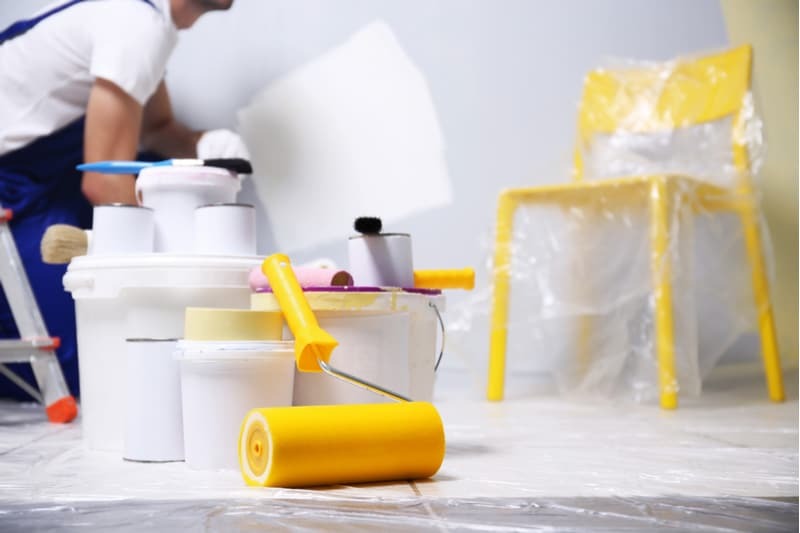 By the time the paint begins flaking, expect to find mold and moisture damage sealed in by the waterproof paint. You will still need a contractor to install moisture management systems, but thanks to the cheap fix, you can add a few thousand dollars of mold remediation to the old estimate as well. Moisture management is an investment against further damage. 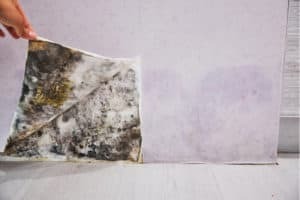 If you’re hesitating to properly fix the issue now, consider what it would cost to remediate mold damage in five or ten years. When it comes down to cost, leaving a damp basement alone makes more sense than “waterproofing” it with a few coats of paint. With waterproofing paints, you are literally paying for the privilege of guaranteed mold damage a few years later. There’s no doubt that any kind of basement waterproofing work is going to represent a major investment in your home. Who you choose to do the work is at least as important as the decision of what work to have done. If you are looking to have a basement waterproofed in New York, New Jersey, or Pennsylvania, contact Dry Basement Solutions for a consultation. With over 25 years of experience in basement contracting, including drainage systems and mold remediation, they can meet your home waterproofing needs. Visit their website or call 609-647-4555 to schedule a consultation.